In honour of Banned Books Week: the Huffington Post Canada and Indigo have teamed up to bring our readers' attention to books that have been banned or challenged, both in North America and around the world. Whatever your opinion, remember that in Canada you are free to read a book, judge it on its merits, and discuss it openly. The inside story of the Air India Flight 182 bombing by two Canadian journalists, published in 1989, and banned to this day in India. 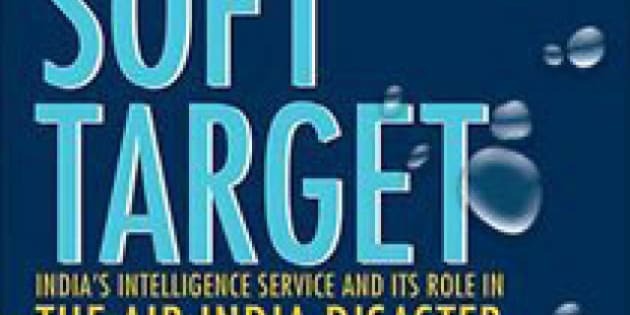 The authors argue that Indian intelligence agencies, determined to discredit the Sikh bid for an independent state, penetrated not only Sikh communities but also the RCMP and CSIS. The book claims the government of India was involved in the plane's bombing. A Commission of Inquiry in Canada later regarded the book's depiction of the events surrounding the bombing as "fiction." The RCMP insisted there was no evidence to support the allegations made towards the Indian government. The controversy makes all for a better read. At least you can decide who to believe. The Indian reader can't. 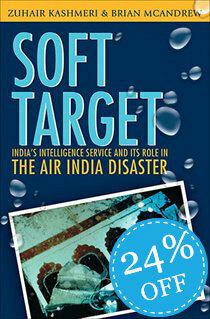 From Indigo.ca:On March 16, 2005, almost 20 years after one of the biggest mass murders in Canadian Aviation history, the Air-India Case concluded with a verdict that authors Zuhair Kashmeri and Brian McAndrew predicted 16 years ago when Soft Target was first published: not guilty. In this second edition, the two offer a detailed foreword that brings readers up-to-date with some startling new information surrounding the twin bombings on June 23, 1985 in the air over the Atlantic, and on the ground in Japan, which left 331 people dead. They offer key details from the trial of Ripudaman Singh Malik and Ajaib Singh Bagri that took place in a specially-built Vancouver courtroom, leads that were not followed up, and more details of India''s intelligence service''s clandestine interference in Canada. They explain how their own prediction that justice would not be found because of a botched investigation came true, and that only a public inquiry will offer closure to the families of the victims.